... towards a euthyroid europe! 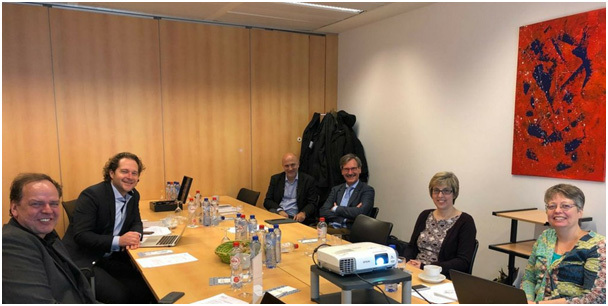 On the 6th April 2018 EUthyroid partners, including coordinator Henry Völzke (UMG) and Robin Peeters (ERASMUS MC) convened in Brussels as Scientific Advisory Board members for the World Iodine Association (WIA). Important topics were discussed including the Krakow Declaration on Iodine, the future of the EUthyroid project , including funding opportunities and project outcomes. This project has received funding from the European Union’s Horizon 2020 research and innovation programme under grant agreement No 634453.